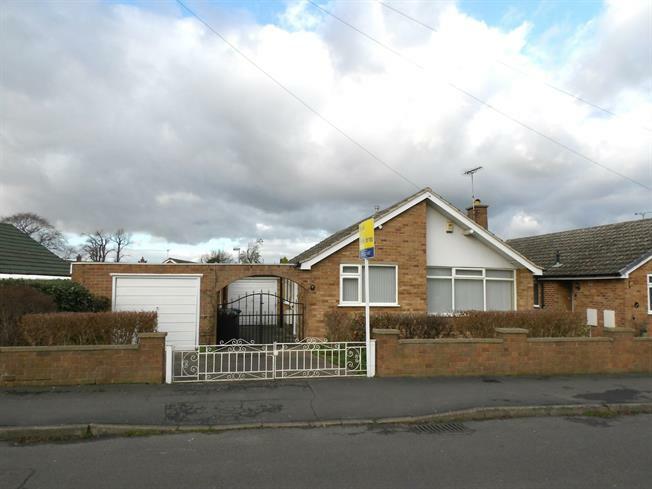 3 Bedroom Detached Bungalow For Sale in Nottingham for Asking Price £259,950. Situated in a prime location in Radcliffe on Trent, this three bedroom detached bungalow offers fantastic potential. In addition the property has a tandem and single garage which are adjoined and can offer excellent workshop space, vehicle storage or general storage, the bungalow itself has plenty of adaptable space to create a charming home. In brief the property comprises, two entrance porches, kitchen, lounge, three bedrooms and shower room. 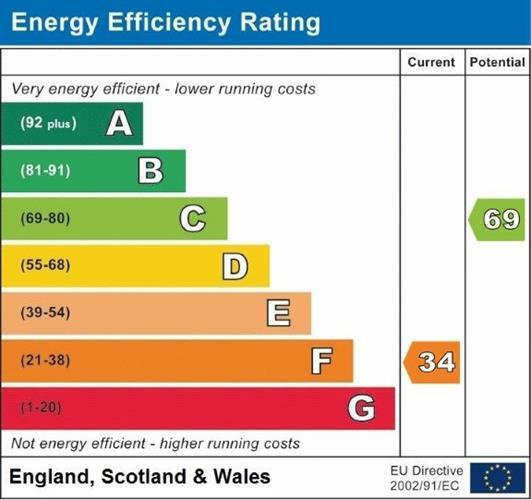 In addition the large loft area has been boarded and power and lighting are available, this could also offer further potential. We strongly recommend this property for a viewing. Hardwood doors to side elevation leading to kitchen door. Hardwood glazed door to side elevation, range of wall mounted and base units with roll top surfaces, inset stainless steel sink with mixer tap over, integrated electric hob with extractor hood over, electric oven, space for washing machine and fridge freezer, tiled splash, double glazed window to front elevation. Feature wood fire surround with electric coal effect fire (vendor confirmed there is a chimney behind) double glazed window to front elevation, two radiators. Glazed hardwood door to front elevation, glazed hardwood door to rear elevation, wood panelled walls, glazed hardwood door to hallway. With walk in shower cubicle, wall mounted power shower, pedestal basin, low level w.c, double glazed obscured window to side elevation, tiled walls. To the front of the property there is a wall and double gate entrance leading to a driveway, this leads to a large tandem garage to the left, there are double gates leading to the side of the property offering further off street parking, this leads to the original garage with up and over door, both garages are joined and open to each other to the rear, these spaces offer amazing potential for various uses. In addition there is a garden to the rear of the property which is mainly paved.